As you may or may not know, Google+ will be shutting down from March 2019. If you are using any Google+ features on your blog, you will be impacted by this change, especially on Blogger. From the 4th February 2019, all Google+ gadgets on Blogger will be removed from your blog. If you're using Google+ comments, the system will revert you back to using the standard Blogger comments. Sadly, you will lose any comments left using Google+. Google has made the surprising decision to delete all comments rather than allow you to import them back into Blogger. Please note that if you are using the default Blogger comments system, your comments will remain and you will not see any change. 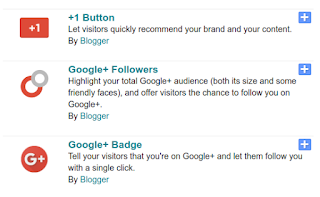 How do I know if my blog uses Google+ comments? If the comments section at the bottom of your blog posts looks like the example below, you are using Google+ comments. However if your comments section looks like the example below, you are using Blogger comments and won't be impacted by any changes to Google+. All pipdig templates will automatically remove Google+ sharing icons over the coming days. As an alternative to Blogger comments, you might also like to try Disqus, however it doesn't work too well with Blogger so we recommend avoiding that if possible. As with any 3rd party platform, they can remove any part of your site when they feel like it. Since you don't own your place on the platform, you are unfortunately at the whims of the company's terms and conditions. With WordPress you 100% own your site and content, as well as many other benefits too. If you would like to move to WordPress, we can handle the whole process for you from start to finish with our popular Blogger to WordPress migration service. Zero stress, zero downtime and you will have a shiny new site ready to use. This also comes with a free theme of your choice from our selection!